I’m starting to see a light at the end of the Spring cleaning tunnel! I’ve been cleaning, organizing and clearing away clutter. My donation box is just about full waiting for me to drive it down to Value Village. We’ve flipped the mattress and changed the batteries in our smoke alarms. I’ve also replaced my old lumpy pillow with a new, comfy one from Novosbed.com. 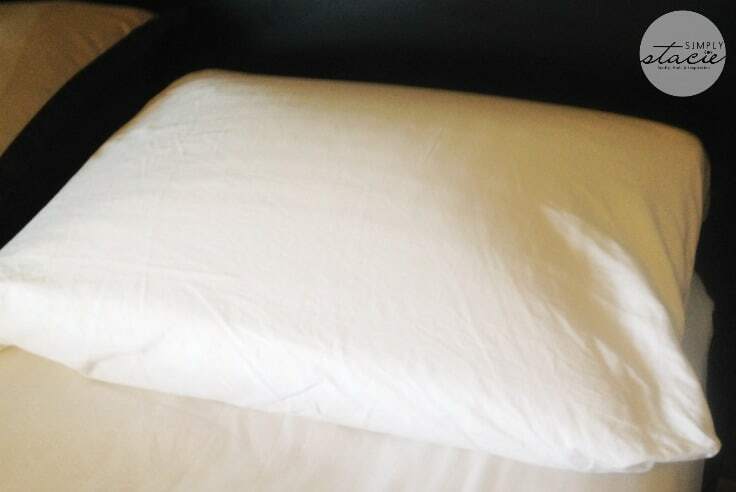 I was surprised to learn that experts recommend you replace your pillow every two years. I didn’t realize that. My old pillow has been with me for the past 7 years and has seen better days…or in this case, nights! I can see how that makes sense though. I need a good quality pillow so I can get a good’s night sleep and not wake up with a headache. I’m prone to headaches upon waking up and I think not having a proper pillow was partially to blame. Novosbed.com hooked me up with a pillow ideal for side sleepers. I never sleep on my stomach and rarely sleep on my back. Side sleeping is the most comfy position for me. I don’t want my head to be too high up, but I don’t want to be completely flat either. The Adagio pillow is just right. It provides contour-conforming support to my head and neck and is medium-soft level of firmness. It’s exactly how I like my pillow to be. Not too soft so it loses it shape, but not too firm so that it barely moves when you lay your head on it. I often get cervicogenic headaches so having a pillow to support my neck is key. I feel I can easily relax into this pillow and get a good restful sleep. Novosbed’s Adagio Pillow is allergen and dust-mite resistant and has an ultra-soft velour microfiber cover. Another thing I love is that they are 50% less expensive than comparable memory foam pillows. It will cost you $149 to pick up one of these high-quality pillows. If you shop around for memory foam pillows, you’ll see that this is a great price. I’m looking forward to using this pillow for a couple years. It was good to learn that they will keep their shape after years of use. It comes with a 3-year limited warranty and FREE SHIPPING throughout North America. You only get charged tax on your purchase if you live in PA.
I’ve grown very attached to my new pillow over the last month. John needs a new pillow so I’m trying to decide which one to buy him. I’m thinking about the Opus pillow for him since he alternates sleeping positions throughout the night. Take a peek at Novosbed.com and find a pillow that suits your sleeping habits. 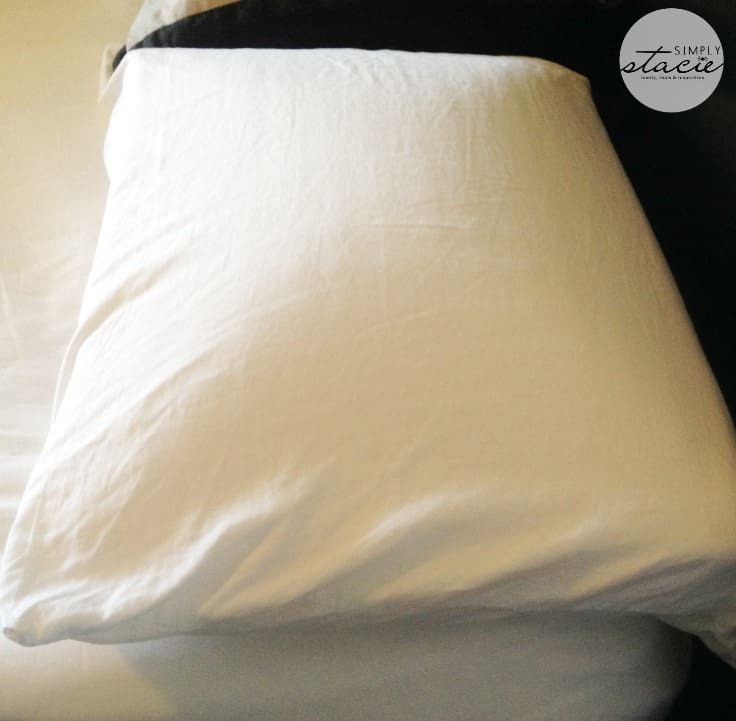 If it’s been awhile since you’ve changed your pillow, now is a good time to make the switch! Connect with Novosbed.com on Facebook, Twitter and YouTube. Oh, my head is calling out for one of these!! I had never heard of replacing your pillow every two years. My current one is fairly new, but I often keep them for much longer! I’m always looking for the best pillows, will check this one out, thanks!